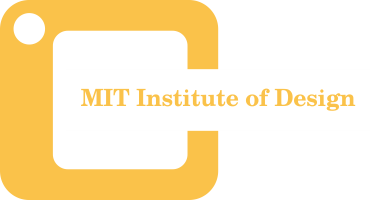 MIT Institute of Design started its operations in August 2006. The institute holds decade of excellence in design education, practice and research. MIT ID is committed to contribute to the design ecosystem and enhance the quality of academics in coming years. One of the important steps in this direction is MIT ID becoming a part of MIT Art, Design & Technology University, under the Government of Maharashtra. With a decade of excellence and pursuance of one of our future aspirations, MIT Institute of Design with 1300+ creative minds on campus and 1000+ alumni professionals have added a further dimension to the program of design learning at our campus. The learners and faculty mentors have registered their presence by winning more than 50 awards in various categories at national & international level, including prestigious 2 Red Dot awards won by our alumni’s and more than 20 design registrations. MIT Institute of Design is working closely with national & international design community. Being a member of CUMULUS, WDO (World Design Organization), MIT ID has collaborated with more than 10 reputed Universities across the world. The concept of Design Habitat is in fact a logical and organic extension of our stated philosophy that ensures a total generalist ambience to enable design learning. It would evolve as an overarching concept around the functional framework of the Design Institute, which remains an integral component of the Habitat. Avantika is India’s first Design Centered University, promoted by MIT Group of Institutions, Pune, which has a proven legacy of 35 years in the field of higher education. The university is established by the Government of Madhya Pradesh, through an Act of state legislature, and is approved by UGC. The unique academic model is based on an integrated trans-disciplinary approach that harmoniously blends design and technology with liberal education. Avantika is conceived to be a distinctive learning center and the project-based education framework is developed by a team of passionate and proven professionals like Prof. Sanjay Dhande, Former Director of IIT Kanpur, and Prof. Kirti Trivedi, an alumnus of RCA London and formerly with IIT Bombay. The spirit of creativity and innovation complemented by design thinking and intellectual boldness is the central theme at Avantika. The academic programs at Avantika are led by DICE: Design, Innovation, Creativity, and Enterprise, with interdisciplinary curriculum and experiential learning at the core. The students are offered interesting courses like critical and creative thinking, design methodology, body and mind, history of technology and design, science of nature, and like, that connect areas of science, engineering, design and liberal arts. The university has formal understanding with several global universities like Aalto University, Finland as a member of the Design Factory Global Network and Technion, Israel. The university maintains close tie-ups with organizations like NASSCOM, CII-Yuva, Reap Benefit, Toast Masters Club, and like. Avantika is also a member of World Design Organization (WDO), FAB Lab Network, National Research Development Corporation (NRDC) and National Academic Depository (NAD).